For corporate filming / presentations or an additional mic support to a live gig - try our Warwick Rockstand microphone stand available for hire now. 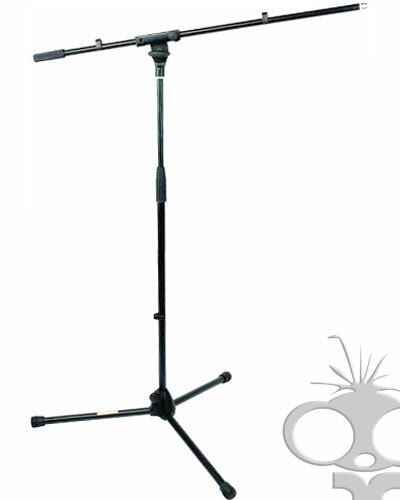 A black microphone boom stand with adjustable height, foldaway legs and an adjustable length and angle boom arm. Combine with a Rode shockmount for ideal microphone mounting.